The implementing agencies should ensure that even the "smallest person" of the country does not face any harassment due to demonetisation move, a Delhi court has observed while taking strong exception to State Bank of India’s refusal to accept old currency notes from a litigant for depositing cost. The court observed that government's move to demonetise Rs 1,000 and Rs 500 notes is a policy decision and whenever such a step impacting each individual is taken, there might be situations where some aspects get "overlooked". "It then becomes the duty of the implementation agencies to ensure that even the smallest person of this country is not inconvenienced or harassed. Whenever the banker is faced with a situation where the question in his view relates to Right to Life/Survival vis-a-vis convenience, it is the former which takes precedence and he needs to exercise his discretion as such," additional district judge Kamini Lau said. The observation came after the court was informed by a lady litigant, a senior citizen, that the bank has refused to accept the old currency notes which she was depositing after a cost of Rs 5,000 was imposed on her by the judge. The litigant was directed by the court to deposit the cost in the account of Delhi Legal Services Authority (DLSA). 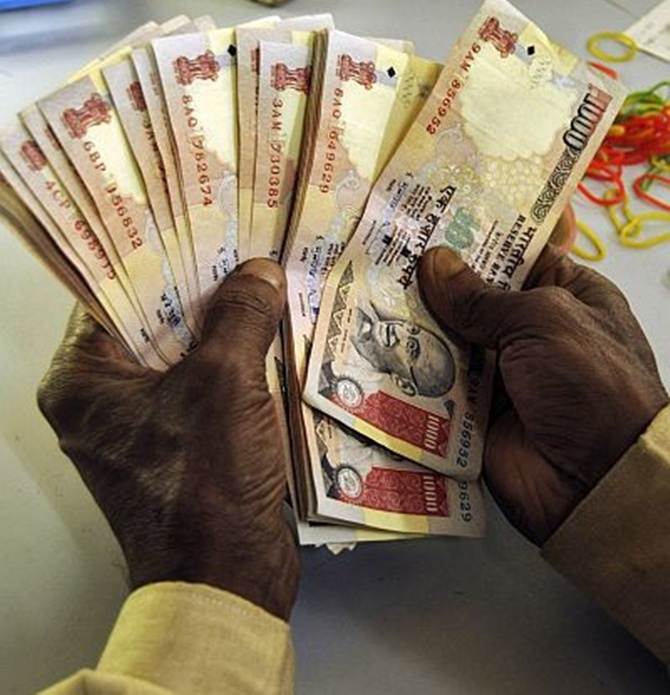 While taking the bank official to task for refusing to accept the old currency notes, the court wondered as to why the bank had not accepted it when municipal authorities were accepting taxes and penalties in old currency of Rs 1,000 and Rs 500 denominations. "Where was the need for the banker to have refused such a deposit to be made in the account of an instrumentality of the state pursuant to an order passed by the court prior to the decision taken by the government? Such a hyper-technical approach adopted by the banker could have been avoided. "The costs and fines so imposed by the courts particularly those imposed prior to the decision of the government, could have been conveniently put in the category of 'penalty' and in case of any confusion, a clarification sought from RBI after accepting the said amount along with the court order would have sufficed," the court said. "In any case, no prejudice is likely to be caused since the amount sought to be deposited is going to the state under the head of an account of DLSA," it said. The court's order came in a civil suit where Rs 5,000 cost was imposed on a woman prior to the government's decision of demonetisation but she had not deposited it.